Transparency; the first thing they claim – the last thing they want. *Topical with the current bungs-for-questions lobbying expose etc but also of course eminently consistent historically. 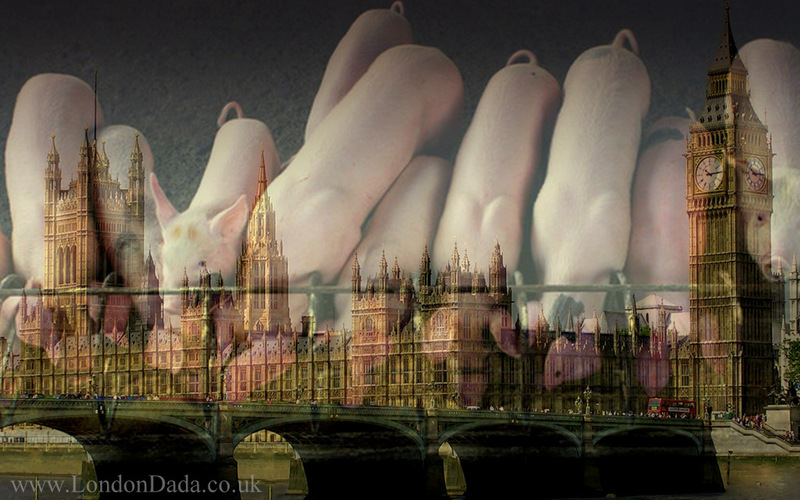 Digital manipulation photo overlay collage featuring the Houses of Parliament and a line up of pigs at trough. This entry was posted in Uncategorized and tagged Dada, politicians, Snowden, Transparency by Michael St.Mark. Bookmark the permalink. Cheers & thanks for looking in again Stan… I’m surprised no one seems to have thought of that particular image combo considering what’s gone on / down in the Palace of Westminster over the years. They just can’t help themselves from helping themselves to maximum pinkies and perks – including those off-farm limits, duck houses and all, oink oink!